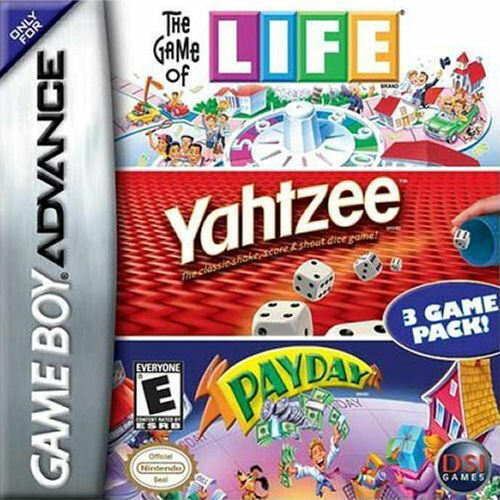 This game includes the board games The Game of Life, Yahtzee and Payday. The Game of Life is a game where the player(s) get a "life" and follow the route all the way from finishing school, have children (possibly) and make money through their job all the way until they retire. Yahtzee is a game about the luck of the dice so to speak. The main goal of this game is to score points by making different values by rolling five dice, with 5 of a kind being the highest, being the eponymous Yahtzee, scoring 50 points. 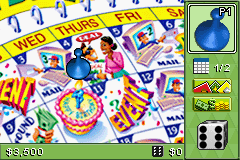 Pay Day is a game where the objective is to see who has the most money after "3-6 months" (depending on the mode). Now you can add videos, screenshots, or other images (cover scans, disc scans, etc.) 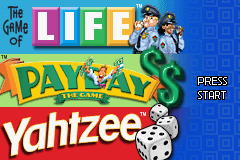 for 3 in 1 - Life, Yahtzee, Payday (U)(Trashman) to Emuparadise. Do it now!